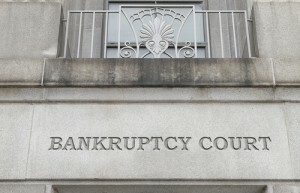 Bankruptcy Exemptions in Colorado (Part 2) - Castle Rock Bankruptcy Attorney - Jon B. Clarke, P.C. Bankruptcy exemptions, which are set by Colorado laws, include possible exemptions for personal property, pensions, other benefits and a debtor’s wages. Continuing from Bankruptcy Exemptions in Colorado (Part 1), the following are some additional bankruptcy exemptions that debtors can claim, according to Colorado law, when they are filing for Chapter 7 bankruptcy. These bankruptcy exemptions represent property and assets that debtors will be allowed to keep because they will not have to include them in the listed assets of their bankruptcy estate (which would make them eligible for liquidation in order to pay off creditors). Personal property – While debtors can claim exemptions of up to $3,000 and $1,500 for household goods and clothing (respectively), they can also claim bankruptcy exemptions of up to $2,000 in jewelry, up to $1,500 in books or photograph and up to $50,000 in livestock. Pensions – Pensions will generally be entirely exempt from bankruptcy proceedings (unless there are child support claims against the debtor). Other benefits –Workers compensation, unemployment and veterans’ benefits are all typically 100 percent exempt from bankruptcy filings unless there is an outstanding child support claim against the debtor. Wages – Up to 75 percent of a debtor’s earnings or up to 30 times the minimum weekly wage can be exempt from bankruptcy estates. Restitution payments (compensation for being the victim of a crime) – These payments are entirely exempt from the bankruptcy estate. Burial sites and mausoleums – One burial site or space for the debtor and for each of his dependents can be exempt. Because Colorado laws are regularly updated, the maximum values for these exemptions frequently change. As a result, it’s crucial that anyone considering filing for bankruptcy works with a skilled bankruptcy lawyer to ensure that they achieve the best possible outcome to their case.